I love The Legend of Zelda. I may not have played each one of its iterations, I may not have completed them all 100%. But every time I have a second on my busy life, I just play them. I enjoy the mechanics, the bosses and sometimes even the silly stories. Heck, I even bought a 2DS just to play the most recent title, A Link Between Worlds. How has it fared for me? In my opinion it was fantastic. In some friends’ opinion it was just a “meh”. But here I am a bit more biased, not because of my fandom, since my friends are fans too, but due to my attention to the story. Because the designers, inadvertently or not, have included an interesting facet into the game mechanics. I once complained about the fact that in many sequels, the super powered player by some unexplained chance had become dwarfed, losing all the items he had at disposition, as well as power-ups and other neat stuff. In TLoZ this was often avoided by creating so called “sequels” where the hero was a reborn form of some ancestor. Thus a loophole was averted effectively. Not a big one, but a nitpick nonetheless. 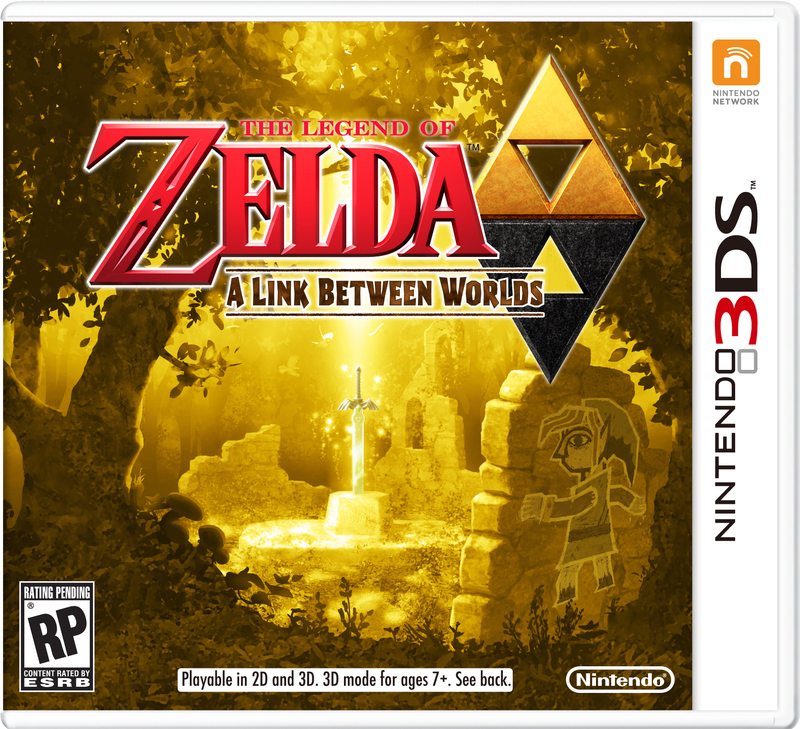 When I heard that LBW was a sequel to probably the best Zelda ever, I was a bit dubious about how it would work out. But the world was familiar, but different, which I took much enjoyment in. There was the issue of the items, which were technically all at disposition since the beginning of the game. Many found that a bit off putting, but for me it was a great stroke of genius. It was not the game mechanic that fascinated me here, but the “meta-history” behind this concept. But what is meta history? Unlike meta story, which is technically a secondary story that runs in the background of a game to set the tone and the mood of the general game, meta-history refers to the history that runs from one sequel to another, as in how the change across the years/decades/centuries run by in the fictional game world or even the history that affects how we can relate to the game/work of fiction. There are many examples of this in fiction. Let’s take, for example Tolkien’s books to explain the concept. The Hobbit as we know it today is not the original version. The 1937 edition told the chapter of “Riddles in the Dark” totally different: Gollum offered the Ring as a gift and, upon discovering that Bilbo already had it, offered him to guide him out of the mountain. When the author took the time to make the sequel, he had to create link to the Lord of the Rings. He decided to make the Ring that link and rewrote the story to match, more or less, the moods. How did he excuse this change? He simply determined that the first version was old corrupted Bilbo’s point of view. Frodo wrote the second, more “correct”, version after the events of Lord of the Rings. That Red Book was taken to Gondor, while Bilbo’s Red Book stayed safely in Rivendell. In other words, there were two versions in different libraries, and all Tolkien did was translate those books, discovering two points of view on the same story, as it happens with many historic events. Thus we have now two editions, the old one being Bilbo’s book and the new one being Frodo’s. This is a prime example of meta-history. When there was something that contradicted in the editions of the books, instead of accepting it as a mistake, the author invented a historical reason within the framework of his fictitious world for the apparent mistake, integrating them thus in a much more creative evolution of the books and giving them a fake history. How does the new Zelda accomplish this? The Hyrule we play at in LBW is the same as the one in Link to the Past. This means that the previous Link, who lived centuries ago, had already looted the dungeons, thus rendering them empty of legendary artifacts. The fact that Ravio has all the items in his possession could thus mean (this is purely conjectural) that he bought them all from collectors or found them in ancient graves and other places outside the dungeons. Granted, some objects, like the blue suit, are still in dungeons, but they are in another dimension, which does not contradict the idea of the emptied dungeons. In other words, there is a historic reason for the new mechanic. I don’t know if the designers at Nintendo did it on purpose, but the mere idea that the treasure was now obtainable without the need to enter a dungeon was incredible. I liked the game because of this. Now all I had to do was to rent/buy the items from a greedy salesman and I felt there had been really a previous Link who had taken out all treasures and inherited (or maybe even sold) them to other people. This is a minor detail in the grand total of a great game, but definitely one that gives more life to the fictional world provided. This again shifted the whole idea on how you approach dungeons, making thus Dark Hyrule even more open ended, since we did not need to scavenge for the treasure anymore. Now that specific Hyrule had an history, and now the sequel felt even more like one. It is just that little detail, the meta-historic detail, that gives us a deeper world to explore and imagine – had this particular thing been on purpose or not. May they smile upon your way! Welcome to a blog of gaming, movies, books and some history. In here I explore the stories that have carried us over decades, yes, even centuries, to what defines us today. I hope you enjoy it and comment, I am always open to respond! This blog is updated whenever possible, once a week.